More businesses are moving their traditional on-premises data to SharePoint cloud storage and a 1Tb storage limit was a problem for larger businesses with several Terabytes of data. Microsoft has addressed this by increasing the maximum SharePoint storage limit to 25Tb, which should be enough room for all but the largest enterprises. 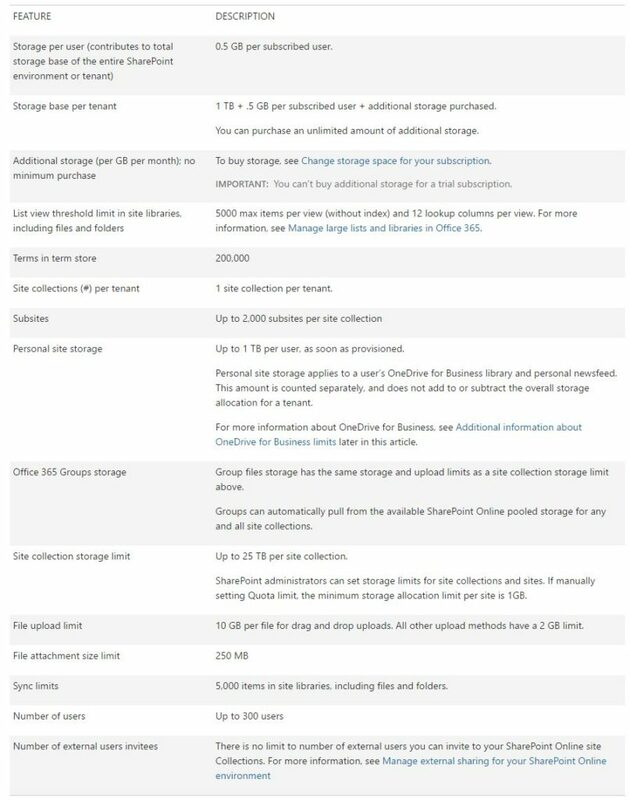 Every business using Office 365 starts with 1Tb of storage, plus 500Mb per subscriber and more storage can be purchased cheaply up to a total of 25Tb. We’ve helped many customers migrate their on-premises data to the SharePoint cloud service and we see this as a growing trend for small businesses who want to reduce their costs. Please contact us if you’d like to discuss how Office 365 and Sharepoint can help you.